The forthcoming sowing campaign will cost the agricultural producers of Novosibirsk is 13% more expensive spring-field works of 2018. Thus the cultivation area will increase by only 1.6%. The cost of spring field work in the Novosibirsk region will increase by 800 million. 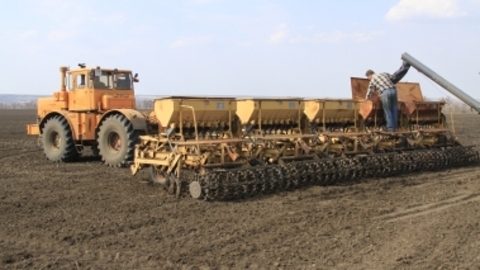 In General, spring sowing is estimated at 6.9 billion rubles, said Minister of agriculture of the region Evgeny Leshchenko. The most part of means will be directed on mineral fertilizers and chemical plant protection products — 3.3 billion rubles, and another 3.1 billion rubles — for the purchase of fuel and spare parts. The seeds will cost about 0.5 billion rubles. According to the Minister, the crop area this year will increase by 38 thousand hectares and will amount to 2.26 million hectares. That is about 1.67% in comparison with indicators of 2018. – Today readiness of agricultural machinery is estimated at 85%. According to the zonal farming systems, given the climatic conditions of the region, in accordance with the submitted work plans is projected to complete spring sowing of grain crops until June 1, forage crops prior to June 8, – told in the Ministry of agriculture. We will remind, last year in Novosibirsk, the farmers were forced to shift the timing of sowing because of the extreme cold. The region was introduced emergency mode.